Does Becoming a Lawyer Really make Sense in a Troubled Economy? Ah, law school. Even in a bad economy, people are seduced every year by its siren song. Applying for law school is a scary process for many, because they worry that they’re just not going to be able to get in. And if they do get in, they worry about not having any good job prospects. It’s time to start thinking about this lawyer thing a little differently. 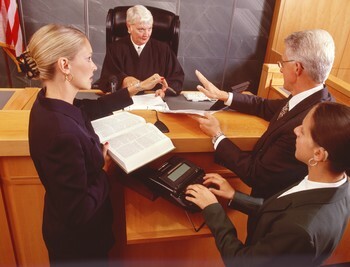 First and foremost, it’s not all about being a trial lawyer, or any other type of lawyer that you see on TV. Lawyers actually have a wide range of specialties that they can get interested in. For example, let’s say that you really love working with kids. Family law is calling for qualified people all of the time. You might have to get your start at a social worker’s office or consulting for a small private outfit. Either way, it’s work experience that could open doors. See the real pattern of what I’m mentioning? Experience. Internships. Clerkships. Networking. It all starts with realizing that there’s value to what you’re doing. If you’re really passionate about law, you’ll find your place somewhere in the system. Law is a lot like real estate in the sense that it’s always going to be around. There might not be a surplus of lawyers constantly, but you will be hard pressed to really see the end of the legal profession. The simple truth is this; we need lawyers. We need someone that can interpret the contracts and provide true counsel. That’s what you’re going to be doing as a lawyer, should you choose to still accept that mission. You’re going to be giving advice — professional advice of course — to people who desperate need it. They are going to be coming to you with the hopes of you fixing whatever problem they are bringing with them. This means that you need to show a true love for your fellow humans. People can truly tell when you really don’t want anything to do with them. As I’m fond of saying… don’t just go into being a lawyer because you heard it’s a great way to get big checks. You’re going to be disappointed when you really do the math and look at all of the long hours that you’re putting in. It’ll make life a lot harder in the long run if you aren’t thinking about the bigger picture. Just thinking about money is going to make you miserable regardless of profession. Sure, money is great and we’re big fans of money but that doesn’t mean that we base everything off of how much it pays. Law school is something that has truly changed my life. I would recommend it to other serious people. If you’re serious about making a difference in the legal professional, find out ways to take the plunge. You really won’t regret it. A Paralegal Can Be the Best Thing to Hit Your Practice – Seriously!